Set halfway between the North-African coast and the Italian mainland, with white sandy beaches, gleaming azure seas and an impressive history which has left behind spectacular architecture, it’s no wonder that Italy’s isle of romance is one of Europe’s favourite holiday destinations. 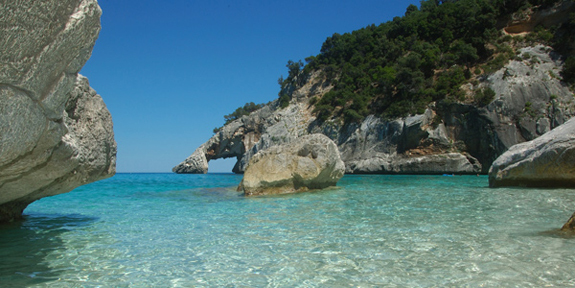 Sardinia is a real Italian gem, with a searing sun, majestic stretches of coastline, and dazzling old towns and cities. But like all good travel destinations there’s more to it than that. 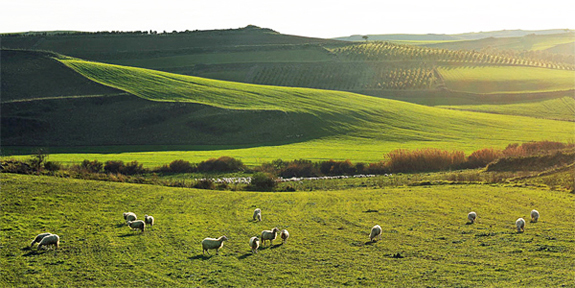 Inland you’ll find lagoons, wetlands and mountainous peaks, and dotted across the entire landscape you’ll discover prehistoric and Catalan towns, all wholly individual and boasting exceptional cuisine. 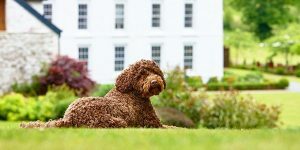 In fact, it’s such a perfect bolthole, it’s become a real hotspot for A-listers looking for some serious R’n’R – Rihanna and Gwyneth Paltrow have both spent time on the island this summer. So, if it’s good enough for them, it’s good enough for us! 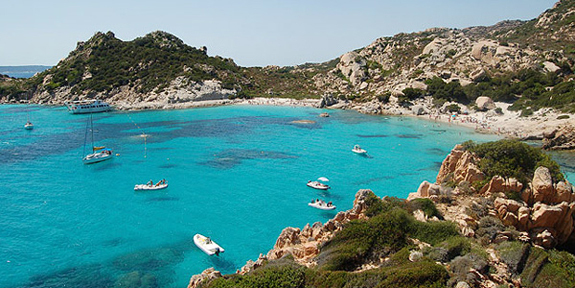 The second largest island in the Med, Sardinia is roughly the same size as Wales. And, like Wales, it’s evident that good things come in small packages. Blessed with stunning natural scenery and a coastline which extends for over 1,800km, Sardinia is a great place to spend a few days, or even weeks, driving from corner to corner, discovering something breathtaking around each bend. 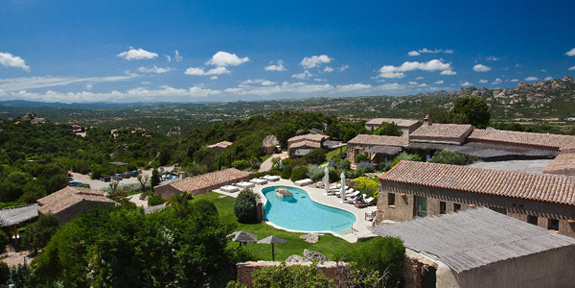 In the northeast lies the island’s most famous (and wealthiest) area, the Costa Smeralda. This is prime celebrity territory; come to marvel at the super yachts moored in every harbour, sip sparkling wine in swanky bars and catch some rays in one of the cute inlets. Whilst here, be sure to take a trip to the Maddalena Archipelago, a collection of islands that sit just off the coast. Boat trips from Palau will take you to some incredible hidden coves but be sure to explore the lovely main town of La Maddalena and to visit Garibaldi’s house on Isola Caprera. 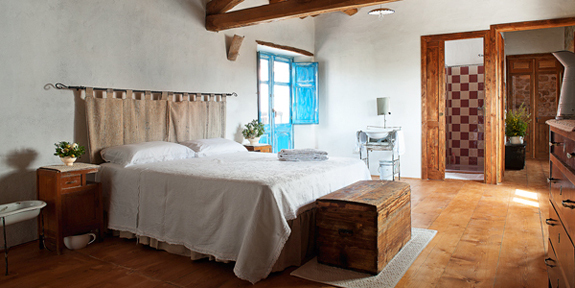 Base yourself at indulgent and super romantic Petra Segreta, or retreat to rustic-chic Stazzo Lu Ciaccaru, a converted farm with acres of space – both are within striking distance of the coast. Heading south you reach the Golfo di Orosei. It’s our favourite stretch of the Sardinian coast thanks to the Supramonte, a mountain range that rises inland and heads east to meet the sea; in places 1,000-foot cliffs soar from turquoise waters. 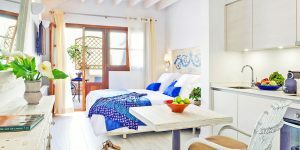 Stay at Nascar Hotel, located just 50 paces from the beach, or at Albergo Mannois, in the compact Old Town of medieval Orosei, to make the most of this exceptional coastline. Cagliari, the island’s capital, is located at the far south of the island; its 2,000-year history shines through in its cobbled piazzas, Baroque churches and scattering of archaeological remains. Twitchers take note; the city’s surrounding salt marshes are home to an impressive array of bird species including pink flamingos, cranes and cormorants. 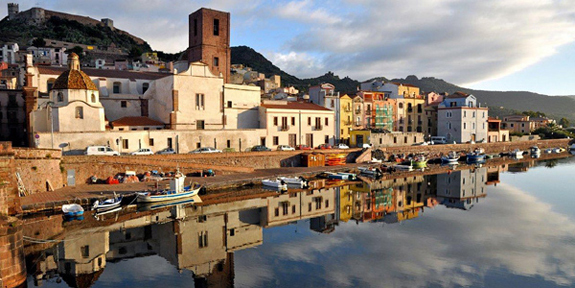 We’d also suggest heading to the west coast to visit the attractive towns of Bosa and Alghero – a picturesque coastal road connects the two, so try not to get too distracted by the secluded coves as you drive the 1-hour route! Bosa stands on the Temo River, which you can follow downstream to discover a big beach, while its Old Town climbs the hill towards a castle containing 14th-century frescos. 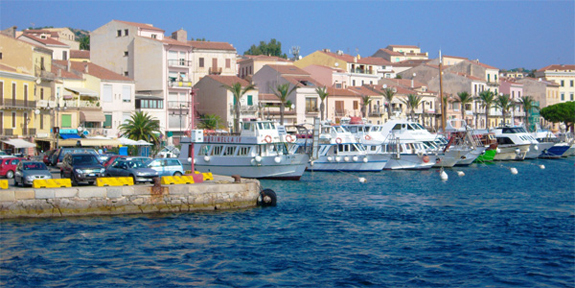 Alghero is lovelier still, its Old Town hanging above the water with piazzas and restaurants hogging the view. Its historical allegiance to Spain accounts for some of its architecture and street names, plus Catalan is still the main language spoken here. Wherever you choose to base yourself, a trip inland is well worthwhile. 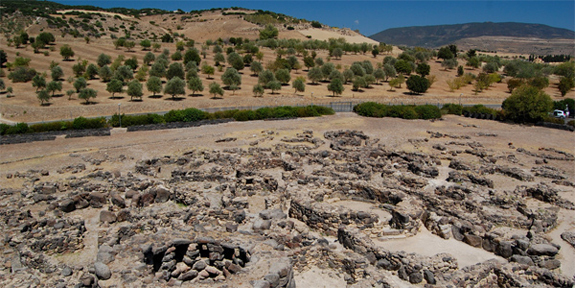 You’ll come across Nuraghic ruins – Bronze-Age defensive structures found nowhere else on the planet – such as hillside Su Nuraxi at Barúmini, Sardinia’s only Unesco site, which was built in 1500 BC and gives breath-taking views across the plains. 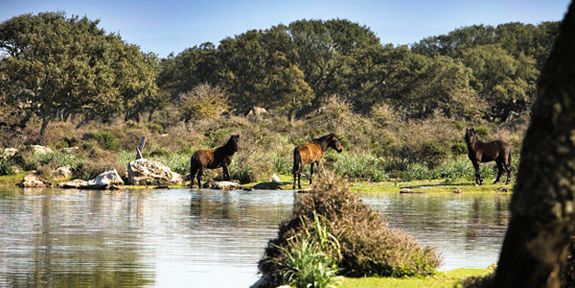 Plus, the island’s interior is home to the oldest olive tree in Europe (possibly 6,000 years old), postcard-perfect hilltop villages, wild horses, hidden waterfalls and approximately 4 million sheep! Lay your head at Antica Locanda Lunetta or Domu Antiga, both are gorgeous rural boltholes with just a handful of rooms and buckets of charm. Spring, when the interior is coated in wildflowers, and autumn, when the crowds have left, are the best times to visit. Temperatures are pleasant and you’re guaranteed a spot on the beach. Avoid June-August if at all possible as temperatures soar into the 40s and tourists flock here in their thousands. 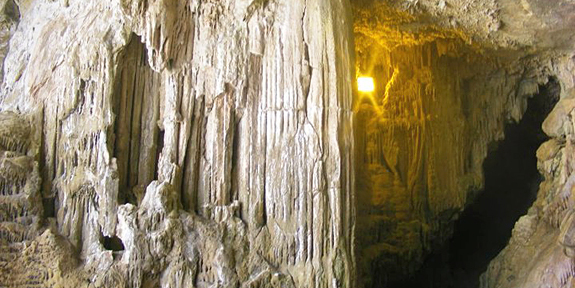 Whilst on the west coast, take a trip to the fairy-tale wonderland of Grotta di Nettuno, a prehistoric cave full of stalactites and -mites. Within are some incredible rock formations and Neolithic tracks which are believed to be 2 million years old. Catch the open-top bus from nearby Alghero, which winds through the countryside (and involves descending and ascending 656 steps once you get there! ), or join a boat tour (weather dependent). 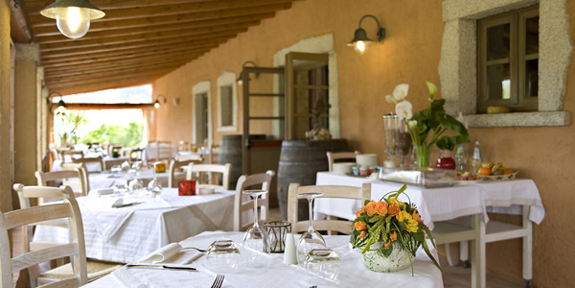 See our destination guide for more information or browse our full collection of boutique hotels in Sardinia.